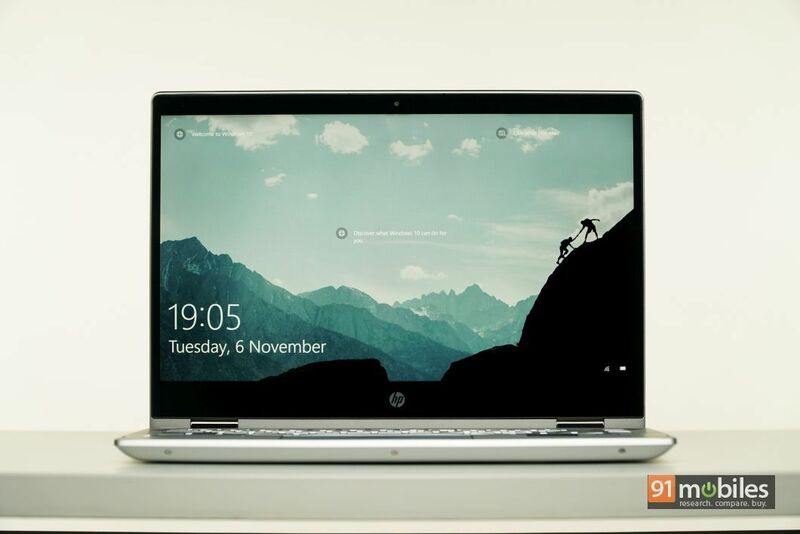 If there’s one laptop brand that has become a household name over the years, it’s undoubtedly HP. The company’s portfolio comprises a fleet of laptops for office and home use and of late, the brand has started foraying into new categories too. Recently, the company announced a brand new 2-in-1 in the form of the HP Pavilion x360 which combines the capabilities of a laptop and a tablet at a relatively affordable price. I managed to get my hands on a unit and after spending some time with the device, here’s what I make of it. From a distance, the HP Pavilion x360 looks exquisite and it could easily fool onlookers into thinking it’s been constructed in entirety using metal. 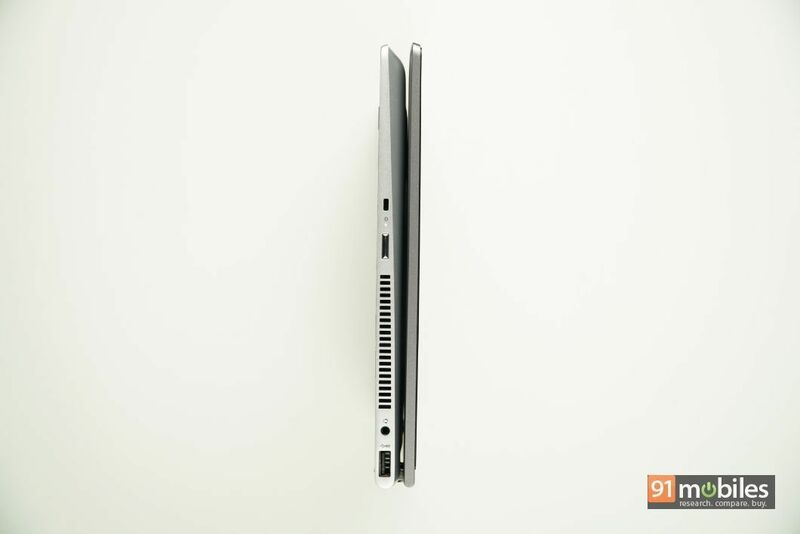 However, upon closer inspection, you’ll notice that barring the hinges which connect the lid to the base, the laptop makes use of plastic, through and through. Now, that’s not necessarily a bad thing, considering how well-built the chassis is. In fact, I’m glad HP stuck with plastic as the Pavilion x360 weighs a whopping 1.7 kilos as it is. 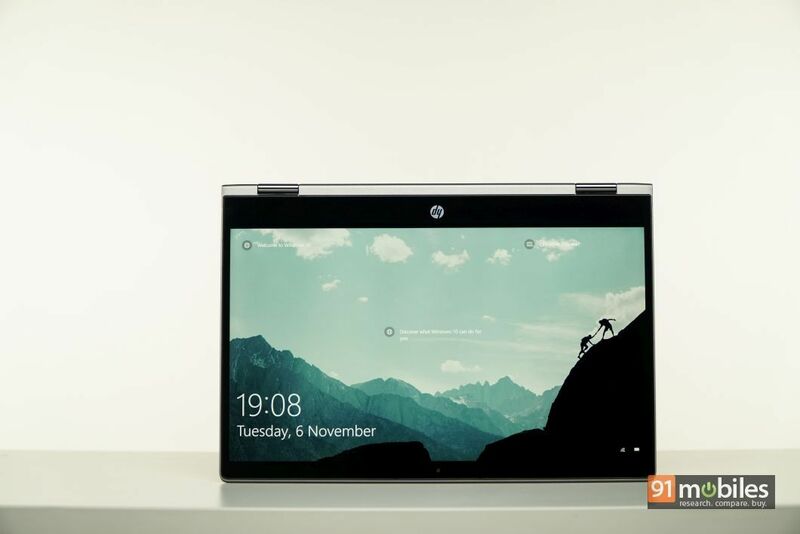 As for the design, HP is clearly targeting consumers who want a laptop with a minimalistic look, and to that extent, the company has hit the nail on the head. 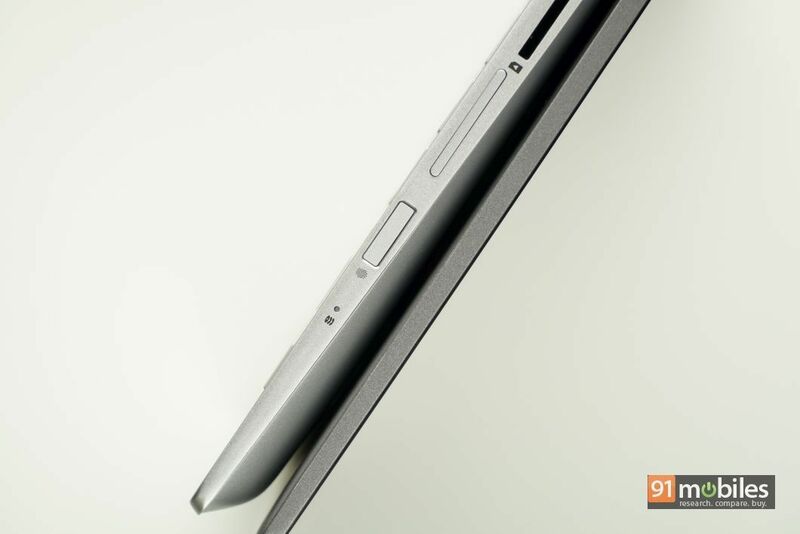 The Pavilion x360 features a classy lid with a brushed-metal finishing and a chrome HP logo positioned at the centre. 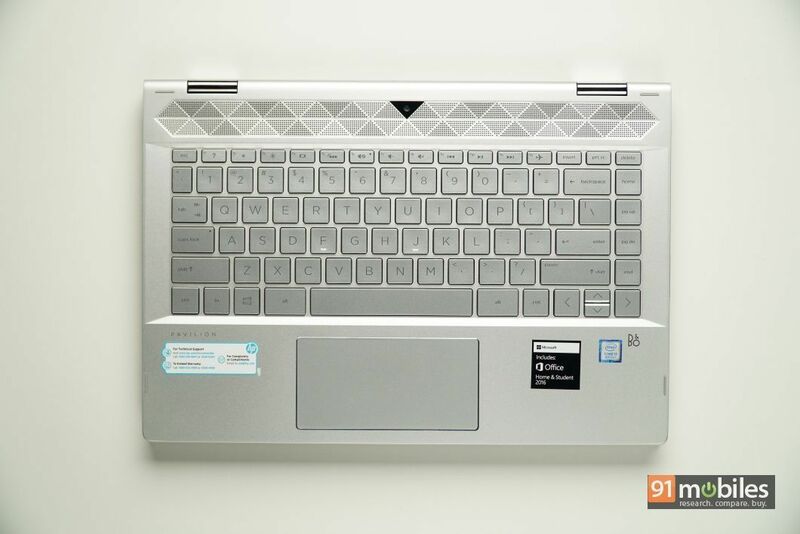 The base of the laptop is void of any patterns, save for the funky looking speaker grill which takes up a surprisingly huge chunk of space above the keyboard. On that note, the keys of the keyboard match the laptop’s space-greyish finish too and all in all, the HP Pavilion x360 makes a strong case for anyone looking to pick up a laptop with an understated and subtle design. For ports, HP is leaving no stone unturned and has furnished the Pavilion x360 with all sorts of I/O, including a USB 3.1 Type-C port, two USB 3.1 Type-A ports, a multi-format SD card reader, an HDMI port as well as a 3.5mm headphone jack. You’ll also get a side-mounted fingerprint sensor with the laptop which works well once you get used to the placement of the unit. While I was a bit disappointed with the laptop’s girth at first, I’m glad that HP has utilised the space efficiently. Display-wise, you can pick up the Pavilion x360 in two different configurations of 14-inch and 15-inch screen sizes. My review unit shipped with a 14-inch Full HD IPS display which is outright gorgeous to look at. The panel offers ample brightness levels, responds accurately to touches and is razor sharp, meaning images and text pop on the unit. 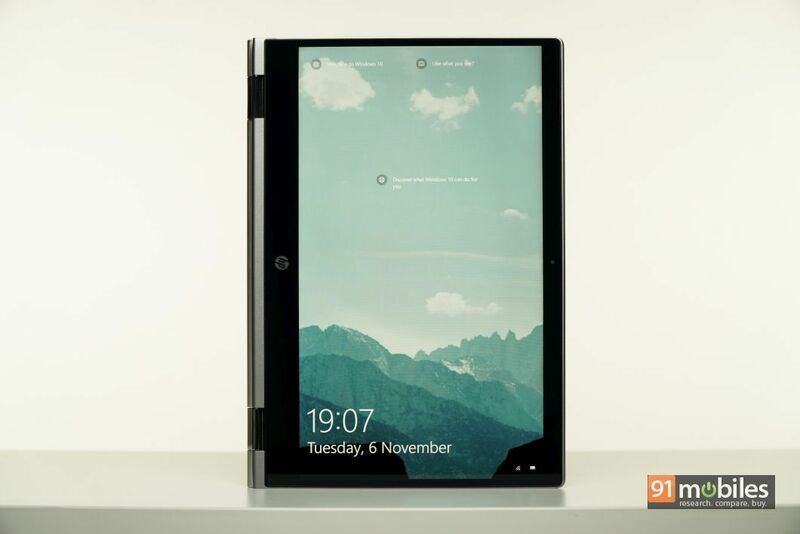 Moreover, as its name suggests, you can flip the display completely and use the laptop in tablet mode – not that you should, since the Pavilion X360 is quite heavy and uncomfortable to use as a tablet. 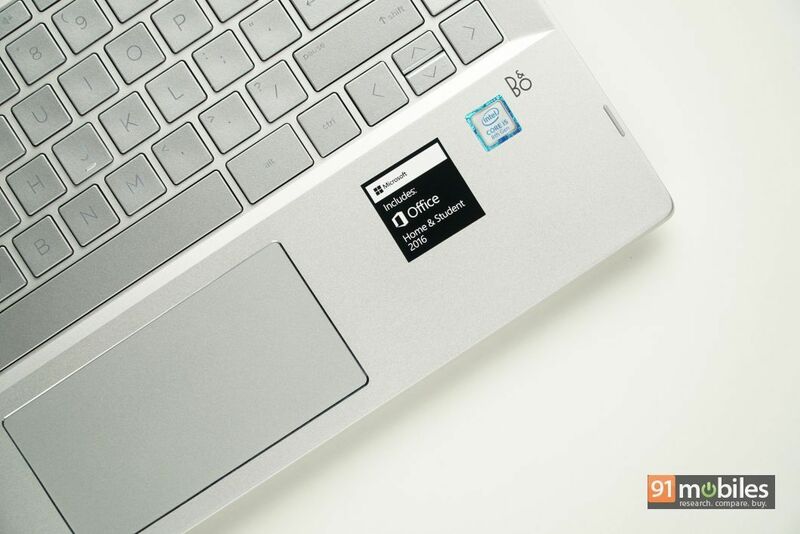 On the rear side, the hinge mechanism offers a ton of friction and therefore, the display doesn’t wobble when you’re typing aggressively or interacting with the panel in laptop mode. To sweeten the deal further, HP even bundles a metallic stylus with the Pavilion x360, which looks eerily similar to Microsoft’s Surface Pen. I’m not much of an artist but for what it’s worth, I was satisfied with the touch input from the stylus – there was minimal latency and the tip of the pen glided seamlessly on the surface of the display. Despite using HP’s Pavilion x360 for over two weeks, I couldn’t get acclimated to the laptop’s keyboard and trackpad. Now, the quality of the keyboard is outstanding – the keys have excellent travel, are well-spaced and don’t feel mushy. Moreover, there’s little to no flex at the centre or around the sides of the keyboard either. However, the positioning of the keyboard makes it so that my wrists were constantly fighting for space. Consequently, I was making a lot more errors whilst typing than I normally do, which made the typing experience on the machine quite frustrating. With that said, I’m glad HP didn’t omit a backlit LED from the keyboard as it makes a world of a difference while typing at night. The trackpad on the HP Pavilion x360 is quite possibly the device’s most disappointing feature. Not only is it tiny and out of place, but it doesn’t ship with Windows Precision drivers either, and instead, employ HP’s own proprietary drivers. So much so, I gave up on using the unit for precise inputs and instead, had to rely on an external mouse to get me through the day. Adding to the woes, the dual-speakers on the Pavilion x360 sound average at best. While the pair gets plenty loud, the audio output is void of any bass. Therefore, you’ll be better of using a pair of headphones to listen to music on the laptop. My review unit of the HP Pavilion X360 shipped with an 8th gen Core i5-8250U processor which worked alongside 8GB of RAM and a combination of a 128GB SSD and a 1TB HDD. The processor backing the laptop is quite capable and therefore, it managed to breeze through my workflow without breaking a sweat. I did run into some stutters and lags every now and then, but they were far and few in between. 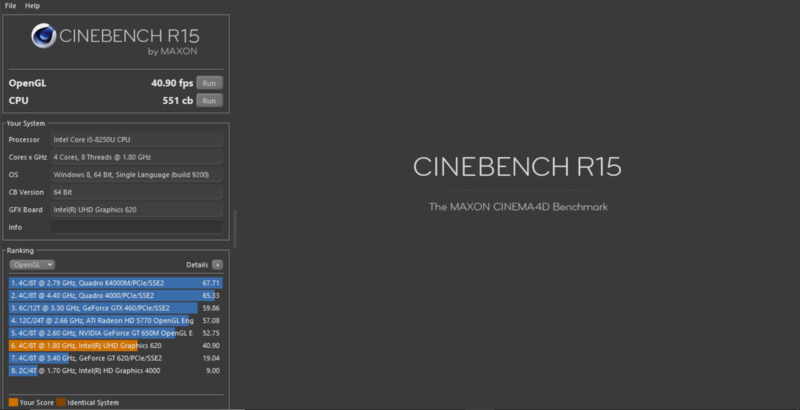 To give you a better picture, the laptop scored 3,452 in PCMark 10 and 551 cb in Cinebench’s CPU test, which is comparable to other machines backed by the same chip. 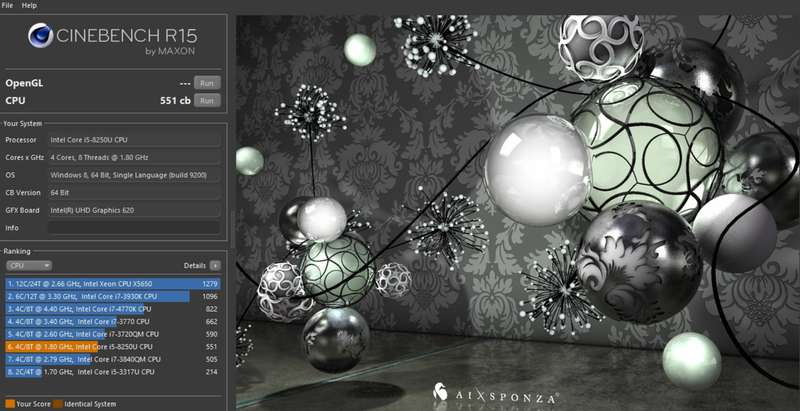 Unsurprisingly, the lack of a dedicated graphics card resulted in the laptop scoring just 40.90fps in Cinebench’s OpenGL tests. 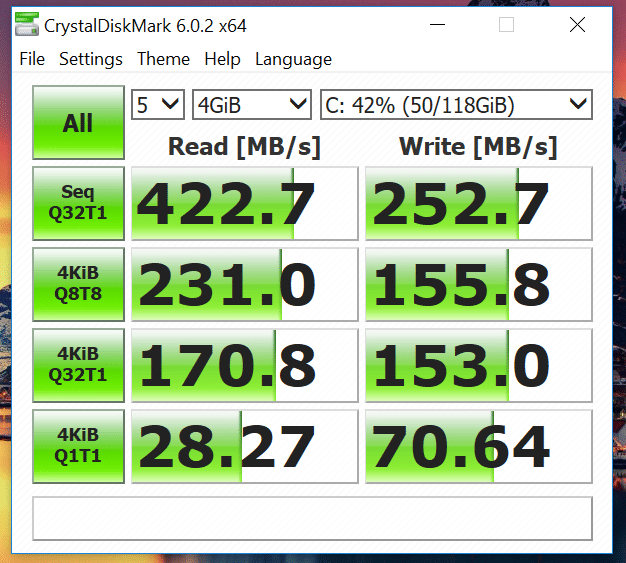 However, the laptop’s SSD performed admirably in CrystalDiskMark’s sequential read and write tests, garnering speeds of 422.7MB/s in the former and 252MB/s in the latter. I’d also like to point out that the laptop was quick to boot up from sleep, allowing me to jump into my workflow in a matter of seconds. 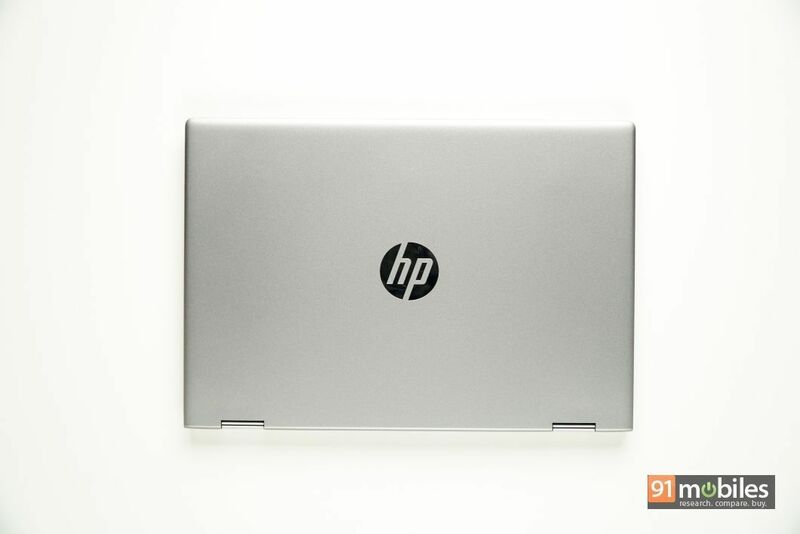 The HP Pavilion X360 is backed by a 65W battery which lasts a little over five hours on moderate usage which involved browsing the web, watching videos on YouTube and writing articles on Microsoft Word. In the Battery Eater Pro test, the laptop drained completely in two hours, which is about what you’d get with most laptops in this price range. 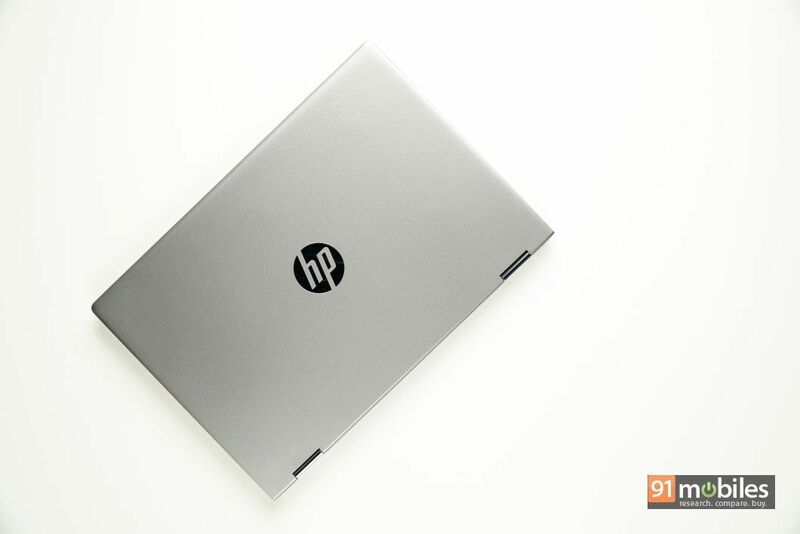 The HP Pavilion x360 starts at around Rs 50,000, however, the model which I tested retails for around Rs 78,000. For the price, the Pavilion x360 offers an elegant design with robust build quality, good performance and a fantastic touch-screen display. 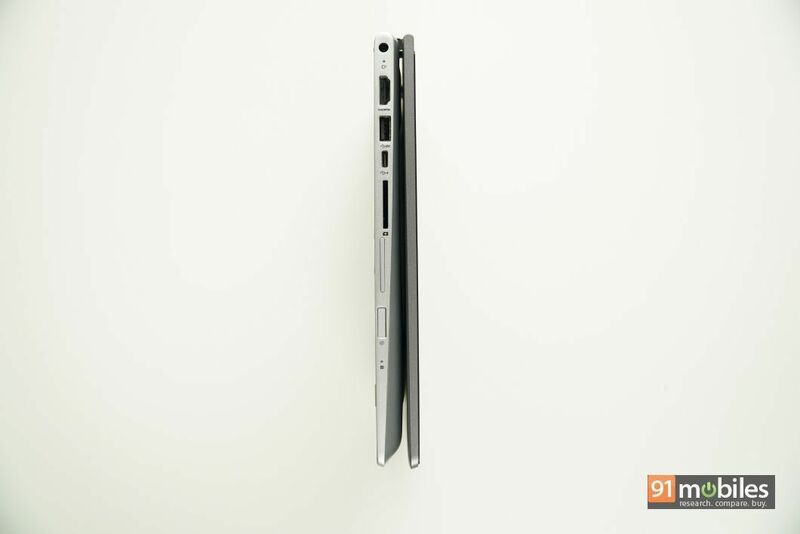 Consequently, if you’re in the market for an affordable 2-in-1, then the Pavilion X360 is as good as it gets. While I would’ve liked if the laptop shipped with a more ergonomic keyboard, and a better trackpad, on the whole, the Pavilion x360 is much like the rest of the laptops from HP’s lineup – dependable and risk-free.